It’s on its way – the camper trailer leaves the factory! 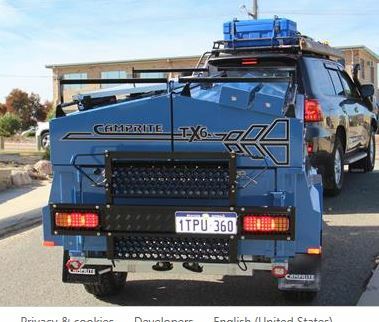 Here’s our first glimpse of the finished Camprite TX-6 camper trailer leaving the factory in West Australia. Very happy with the colour and looking forward to taking delivery early next week. That gives us one weekend to pack it before we leave – gulp! Leaving the factory in WA, bound for Sydney!